Kokoda has become a form of a pilgrimage for many Australian’s in the past 10 years; others tackle this trail to tick another challenge of their bucket lists, while some just want adventure and to experience a different culture. Papua New Guinea is a developing nation that has seen it’s fair share of corruption, political unrest and crime. The last 5 years of corruption has been hunted almost to extinction as some of the nations leaders have had a political awakening. Papuans are genuinely speaking some of the earth’s poorest citizens but also some of the most friendly and religious (Christian predominantly) people you will ever meet. Scary to look at as you approach them in the street but as you cross paths their genuine smile beams to light and once again you can relax. Port Moresby is the hub you are based out of. You will begin and conclude your Kokoda trek in this a rapidly growing city boasting double-digit growth rates. This city is rapidly changing and the fear to venture out is beginning to lapse as the police now take hold of crime. Extended stays in Port Moresby can include some amazing diving and treat your self to stay at the seclusive Loloata Island Resort. The yacht club in Port Moresby is the exclusive place to eat, dining on the deck out by the water as the sun fades into the ocean. Papua’s climate is tropical and its surroundings are much like an undeveloped Bali or Thailand from the 1970’s. Believe me when I say this will become the new Bali for Australian’s in years to come. Papua New Guinea can be best described as a nation and culture that was until recently traveling along in the Stone Age that has now collided with the space age. Kokoda is much more than a hiking trail; it’s an amazing journey of Australian and Japanese Soldier’s sacrifice during the WW2 battles in 1942. This journey also travels through and stays in local villages of the friendly Koiari people who live dotted along the Kokoda trail. During 1942 many of these villages fled the area as the sounds of bombs and guns filled the air. Villages where flattened, gardens pillaged and many of the unlucky ones to be caught by the Japanese put to slave labor as the Japanese expanded their empire. Trade embargos forced Japan to lash out in order to prosper instead wither on a vine should the suppression of their economy continue. They tore through SE Asia with unexpected ease after Pearl Harbor until halted by the Australian’s for the first time in their history at Milne Bay (also in Papua New Guinea) then along the Kokoda trail. nature in WW1 or WW2. Australian’s fastly become championships belt holders of jungle fighting and tactics that saw the Japanese Imperial Army forced in to retreat. 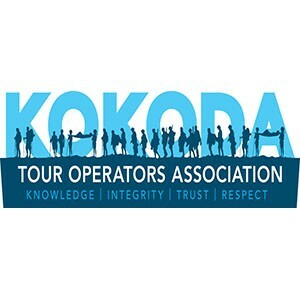 Today Kokoda is an amazing thrill seekers challenge in the midst of beautiful jungles, spectacular butterflies and pristine rivers and creeks with a never-ending supply of crisp clean water. Adventures revel in the amazing wildlife and still discover each year new relics from the wars in 1942. As the owner of Escape Trekking Adventures we have brought to life the modern day Fuzzy Wuzzy Angles with our porters coming from the villages where their 1942 descendants come from. Escape Trekking Adventures promotes leave no trace camping, ethical treatment of porter and reinvests in the villages education system. Our highly experienced Australian guides assist your journey over the Kokoda trail as you discover not only Australia’s history but also that of the Japanese and most importantly the local Papuan’s. 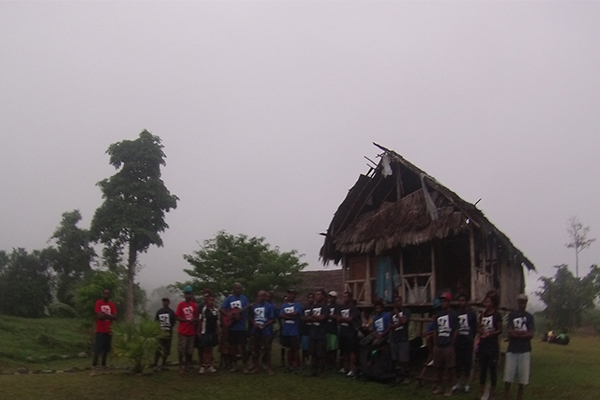 Contact us today to arrange the trip of a lifetime to Papua New Guinea and the Kokoda trail. Can I stay over night? What’s the best time of year to go? With Mt Everest being 10/10 and walking around the block 1/10 Kokoda rates as a 7/10, moderate cardio fitness required. Secret tips or handy advice? Where can we contact you and find out more?